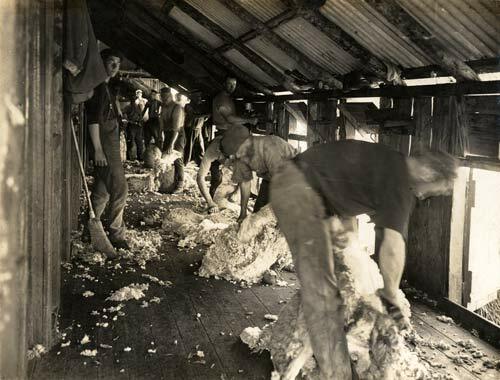 Blade shearers shear sheep in an old woolshed. The portholes (right) are open, ready for the animals to be let out into the counting-out pens after shearing. The narrow shearing board is covered in wool offcuts and short pieces – unlike in modern sheds, where the board is kept clean to avoid contamination of the fleeces.